Today was special, I saw two new bird species for Ottawa. 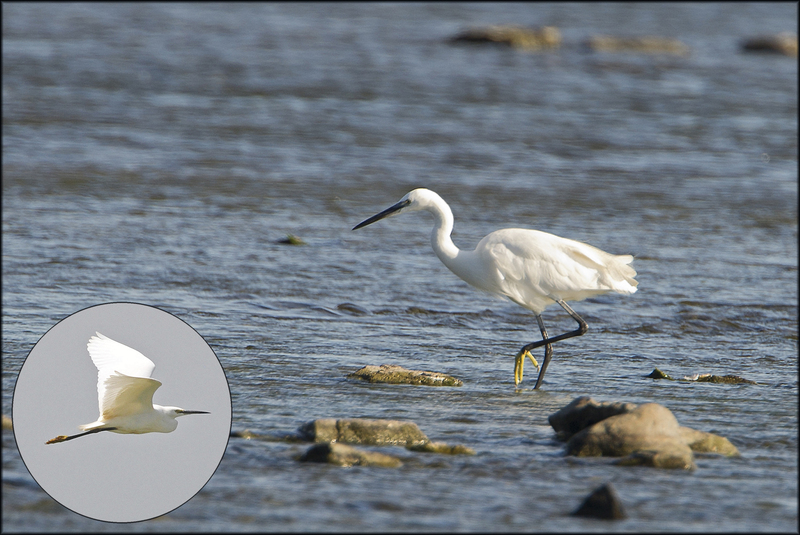 The first one a Little Egret found by Ben DiLabio is the first of this species seen in Ontario. 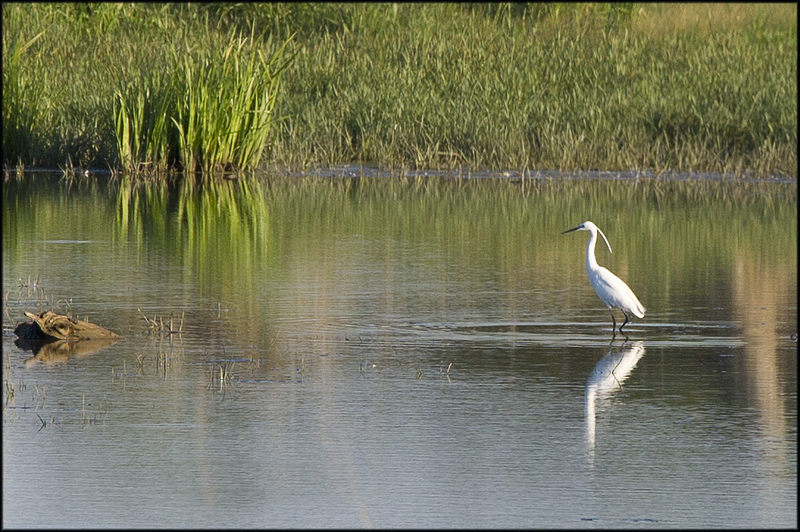 Little Egrets at common in Europe and England but are also known to breed in the Caribbean. This is one super bird no matter where you find it in the ABA. Almost annually one has been found somewhere in eastern North America. 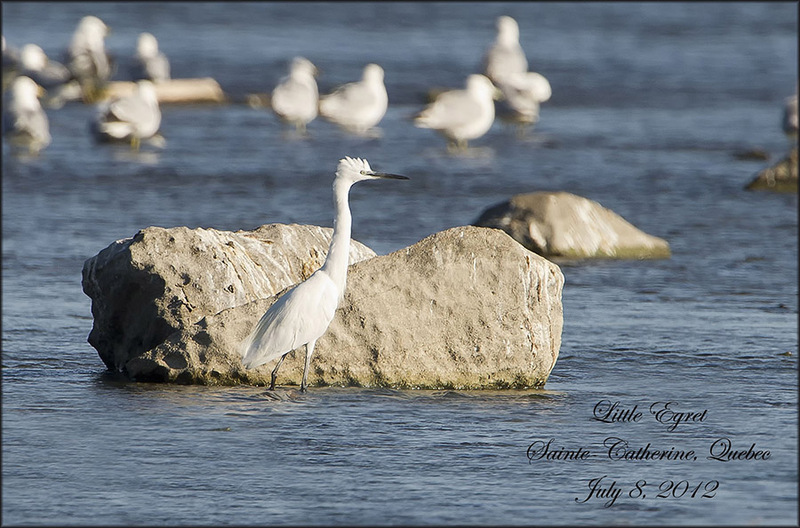 The photo below was of one individual bird Rick Poulin and I found in Saint Catherine, Quebec in 2012. 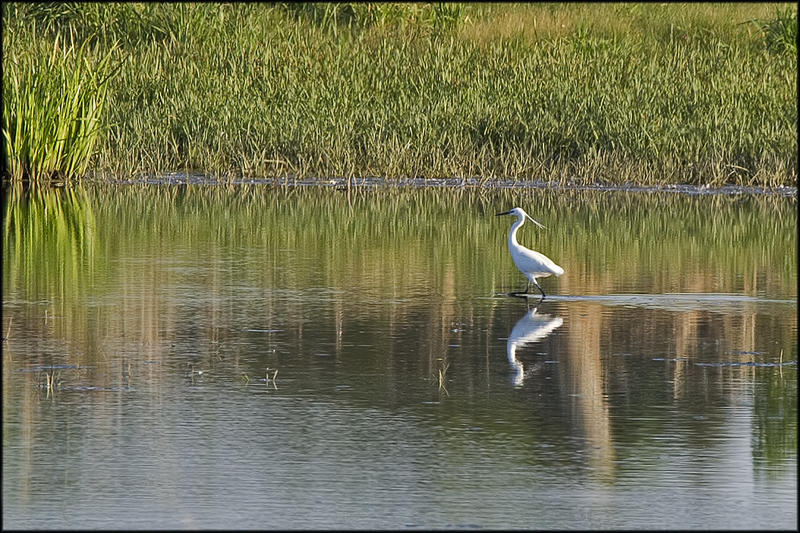 The photos below sow the Little Egret found by Ben DiLabio in adult in breeding plumage at the Carp Watershed. 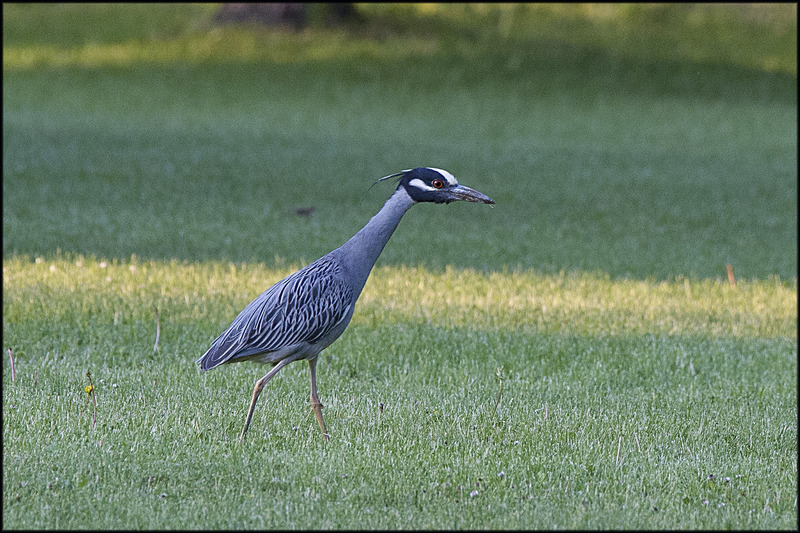 It is Ottawa Bird #247 for the Ottawa area for me. 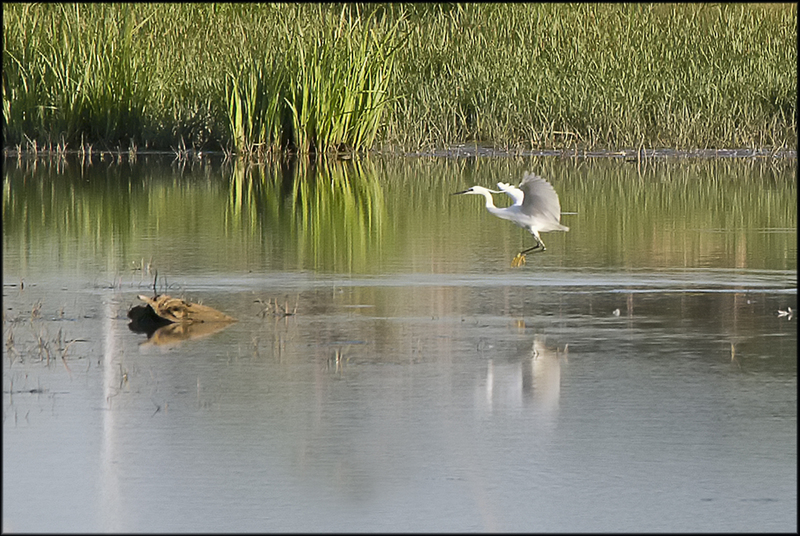 The distant photos below show the bird actively feeding. If the bird sticks around it may be possible to get closer but so many people will be coming from all over Ontario to see this bird. It best viewed from a distance. 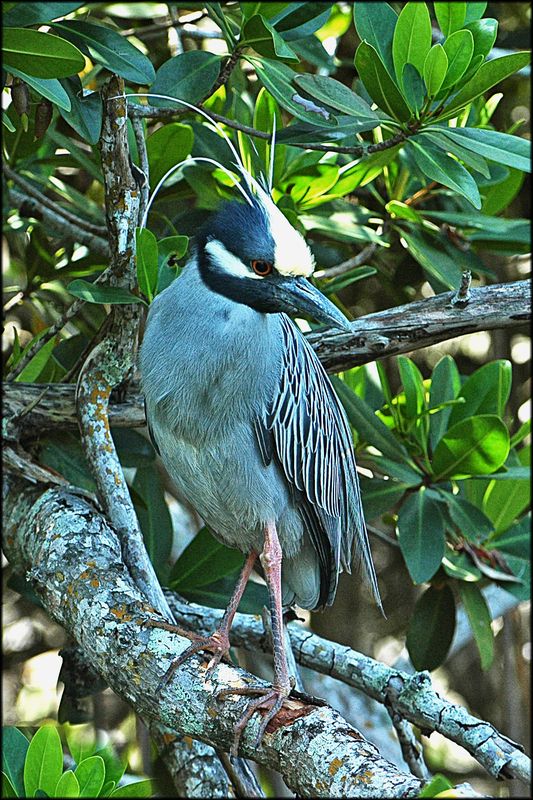 There were at least 30 people viewing the bird when I arrived and a group of us decided to go to the nearby site where a lucky few had been able to see the Yellow-crowned Night Heron. We arrived but the owners weren’t home and no bird in sight. Richard Killeen, Greg and a friend left to search the neighborhood. The rest of us stood on the road hoping to get a glimpse of the bird, if it happened to fly by. A phone rang and Richard had found the bird a short distance away. We hurried to 119 Delany and there it was feeding on the lawn. 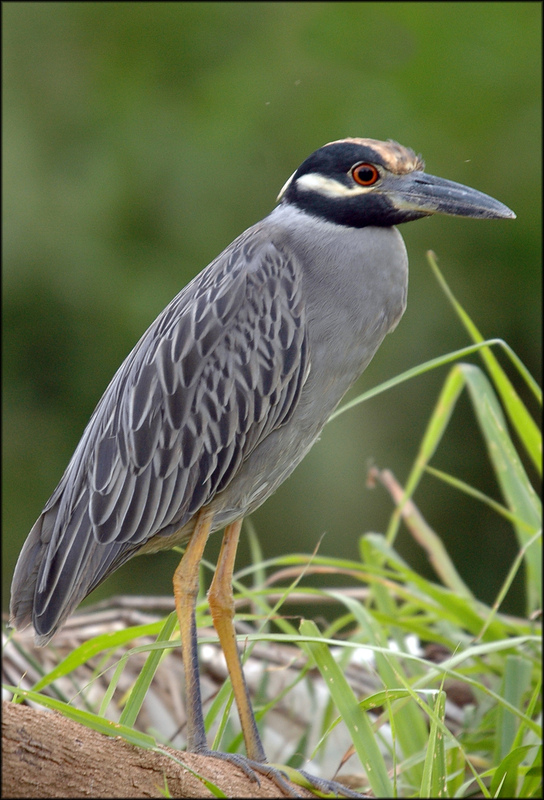 Ottawa Bird #248 Yellow-Crowned Night-Heron. The photos below arethe only other photo’s I’ve been able to get in 12 years, one bird out in the open from Costa Rica and one displaying from Florida. I wonder what bird will be next? 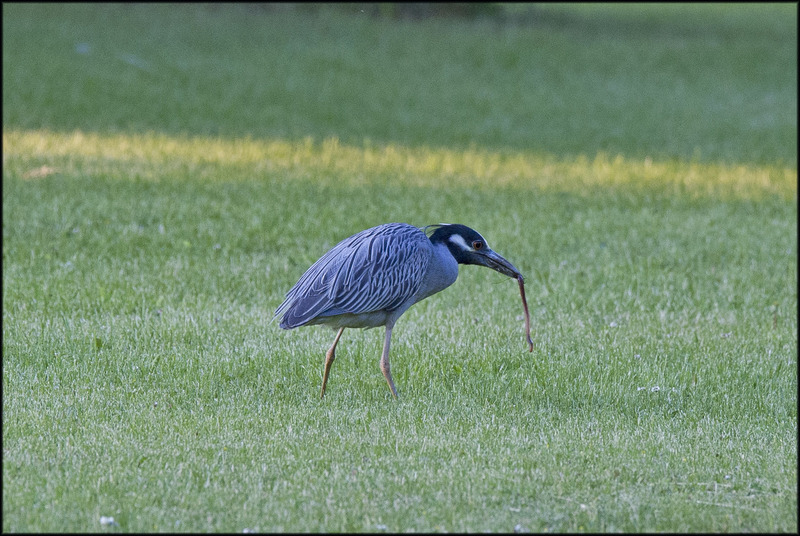 This entry was posted in Ottawa Birds. Bookmark the permalink. TWo amazing sightings in one week. The winds we have had must have ‘misled’ these two. I hope they stay around for a while and aren’t scared off. Well done!